Actor Matt Walsh poses at LA Film Festival Gala Screening of "Brigsby Bear" in Los Angeles, California, U.S., June 16, 2017. Some of the most famous lines in film are the result of actors going off-script, from “Here’s Johnny” to “Here’s looking at you, kid.” But given the meticulous choreography behind the scenes of movies and TV shows, how does improvisation even find its way on screen? 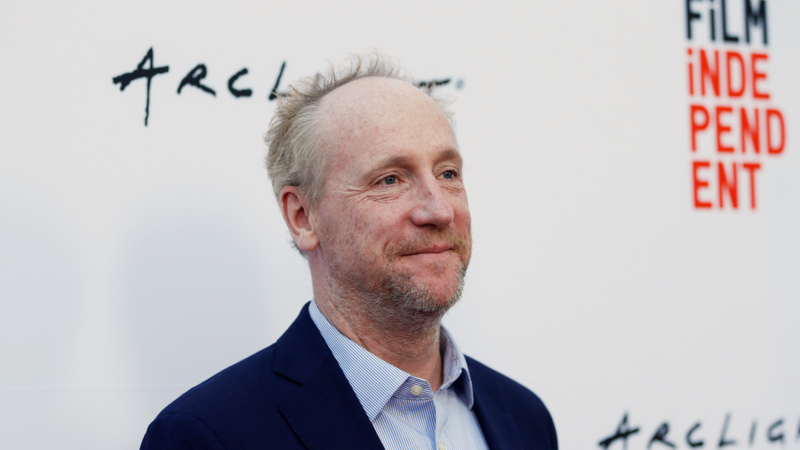 “My experience, in general, is usually there's a good script for comedy, and then you get to moments that aren't working,” says Matt Walsh, co-star of the HBO comedy “Veep,” and a founding member of the improv group Upright Citizens Brigade. When this happens, he says, the director and writer often collaborate to give the actor more direction. Walsh says the improvised lines that stick are the ones that come straight from the character’s perspective or add an interesting element to the story. In contrast, he calls jokes about body parts or functions “low-hanging fruit,” and says they rarely make it onscreen. “Or if they end up in the movie, you can kind of see it and go oh, that's just somebody riffing,” he says. In fact, in a show known for its insults and punchy one-liners, the actors’ skilled riffing is encouraged. “I think in ‘Veep’ world, you just sort of rehearse it and talk about it,” Walsh says. “Like, ‘I don't want to say this, can I say this?’"
In one episode from season four, called “Testimony,” McLintock is questioned by a congressional committee investigating a computer data breach. At one point, when pressed about his whereabouts, McLintock launches into an uneasy, long-winded description of the “knee cream” he needed to get from his car in the White House parking lot. Walsh explains that the whole scene was set in a staged congressional hearing room where everyone, including the camerapeople, was dressed as aides. What’s more, the show’s creator, Armando Iannucci, kept the actors off-set until it was time for their lines. “It was like a murder mystery theater. He really kind of messed with us in the best way,” Walsh says. “So you walk in the room and you're extremely nervous because everyone's looking at you, and you sit down,” he says. He knew from the script that his character would need to describe the knee cream. “And my direction for my character is like, be really nervous and be really sweaty."